According IQI Realty team leader Sean Inn, who concluded the deal, this is a very rare sale as many of the owners of units in Block B are owner-occupiers. Many owners also hold on to their units as they like the many rooms they come with. “Block B also has one of the best views of Tropicana Golf Club. One reason the buyer who is a local business owner purchased this unit was because of the view. He bought for his own stay,” Inn shared. The unit was previously owner-occupied and has been renovated with marble finishings in the living room. It also came partly furnished with branded kitchen and sanitary fittings. The development is easily accessible via several roads and highways including Persiaran Tropicana, NKVE and the LDP. It is also close to amenities in the area including 1 Utama Shopping Centre, Atria Shopping Gallery and the Curve. The unit features full-glass windows, high ceilings and a private lobby. All bedrooms are attached with an en suite bathroom while the master bathroom has a Jacuzzi. According to data from EdgeProp.my, the last recorded transaction was in 3Q2016, where units changed hands at an average price of RM1.98 million. On an average price psf basis, they were transacted at an average RM627 psf. Based on listings on EdgeProp.my, the current average asking price of units in Tropicana Grande is RM2.3 million or RM728 psf. 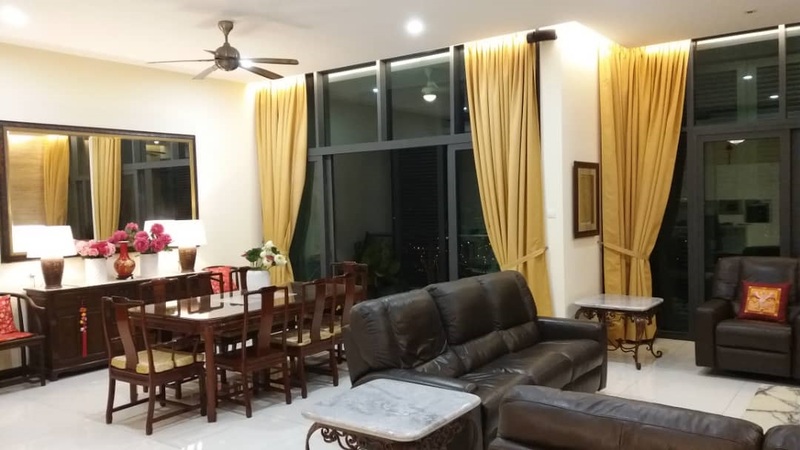 Interested to buy properties in Persiaran Tropicana, PJ​? Click here.